Look! I found another early edition of this little-regarded Puffin classic - printed under their now-defunct Mockingjay imprint. I don't know now whether I AM commenting on how much young adult fiction has changed. 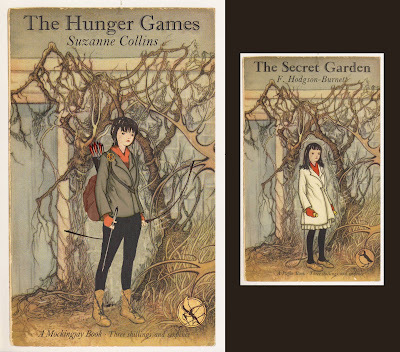 In all honesty I can totally imagine a book like The Hunger Games being published back the 60s. Children's fiction has a long history of subversion, and it's really only in more recent year it's come to be as relatively closely monitored and censored. brilliant! 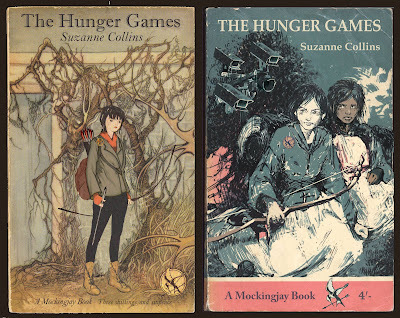 I love vintage Puffin covers, and these are just so good - true to Hunger Games, and in perfect harmony with vintage Puffin illustrations.